Conference Hearings on applications and disciplinary cases are often scheduled to be heard at the regular meetings of the Kansas Board of Healing Arts. The schedule of the meetings is posted on the agency website. Board meeting are held on the second Friday of every other month, beginning in February. There are six Board meetings a year. In order to have your matter included in a particular Board meeting, you must file a written request with the Executive Director for the agency and submit the appropriate documents to the litigation staff and attorneys in advance. Please see Board Policy 15-03 for the relevant deadlines. Filing Pleadings: All pleadings should be filed with the Office of the Executive Director by mail, in person, or by fax at (785) 368-7102. A separate copy must be sent to the Litigation Department attorney who is identified in the Notice of Hearing. Do not send any pleadings directly to a Board member. Exhibits: If you have documents which you intend to offer as exhibits at the hearing, please send a copy to the attorney for the Board as early as possible. The agency’s administrative staff electronically provides hearing documents to the Board members approximately 2 weeks in advance of the Board meeting date. If you cannot send your exhibits in advance, you will need to bring 18 copies with you to the Board meeting so there are enough for distribution to the Board members, General Counsel and 1 for the agency record. You must not send exhibits directly to any Board member. Attendance at Hearing: A Notice of Hearing is sent to the parties in advance of the meeting date to notify them of the date and time for the hearing. Generally, the Board requests that parties appear in person for their hearing. A party may be held in default for failing to attend or participate. See K.S.A. 77-520. Although agency staff endeavors to schedule hearings so the docket runs on time, there are occasions when hearings may be significantly behind schedule. Please plan accordingly. Your cooperation and understanding is greatly appreciated. Conference Hearing: Conference hearings are held by the Board during their regularly scheduled board meetings. Each case scheduled for a conference hearing is presented to the full Board. 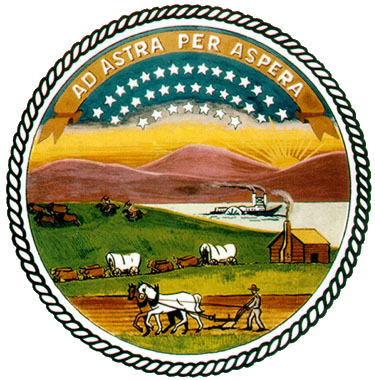 The hearings are held pursuant to the Kansas Administrative Procedure Act. The Board may announce its decision at the conclusion of the hearing or “take the matter under advisement.” In any event, a written decision will be issued within 30 days. Typically, conference hearings last less than a half hour and do not involve complex factual issues. At a conference hearing, only the parties may testify. There may be portions of a hearing which are closed to the public to consider information or evidence which is confidential by law. Examples include settlement offers in matters still under investigation, impairment issues, patient-identifying information and peer review. During a “closed” portion of the hearing, only the parties and agency staff are present in the hearing. Additionally, the Board may recess a hearing in order to privately obtain legal advice from General Counsel staff about the case or to deliberate on their decision. Board Decisions Following Conference Hearings: The Board may announce their decision at the Board meeting. However, the decision is not effective until a written order is issued. By statute, the agency has 30 days following the hearing to issue the written order. The written order will include the Board’s decision and any specific provisions required for implementation. Disclaimer:This information is intended to provide only general information and does not constitute legal advice. It does not create legal rights or obligations for any party.